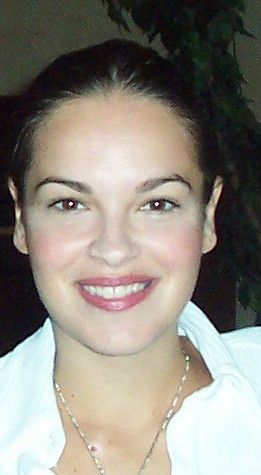 Bayonne’s Emmy Award wining actress Tammy Blanchard will appear with a star studded cast in the Lifetime Channel’s “Living Proof.” The film is being shown for Lifetime’s ‘Stop Breast Cancer for Life’ public service and advocacy campaign, during the National Breast Cancer Awareness Month. “Living Proof” is the true story of Dr. Dennis Slamon (played by Harry Connick, Jr.), who helped develop the breast cancer drug Herceptin. Dr. Slamon is a research doctor at UCLA Medical Center (Los Angeles), where he has developed the experimental drug Herceptin, which he believes will become a treatment for breast cancer. However, when the drug company stops funding for research, philanthropists, including Lilly Tartikoff (Angie Harmon) and Ronald Perelman help him continue tests of the drug. Dr. Slamon loses some patients involved in the tests, but ultimately his work with the drug changes the course of breast cancer treatment. Ms. Blanchard’s character is that of Nicole Wilson; the first woman to have ever been treated with Herceptin. Also appearing in the film is Bernadette Peters; who appeared with Ms. Blanchard in Gypsy Rose Lee on Broadway in 2005. “Living Proof” will be streamed, in its entirety, for people in the United States, on the website myLifetime.com beginning the day after the TV premiere. Living Proof was directed by Dan Ireland and the script by Vivienne Radkoff was adapted from the HER – 2- The Making of Herceptin, a Revolutionary Treatment for Breast Cancer by Robert Bazell. The talented and beautiful Bayonne actress recently completed filming” Deadline” in July 2008, co -starring with Brittany Murphy. “Deadline”, is a psychological thriller about a writer who has writers block.